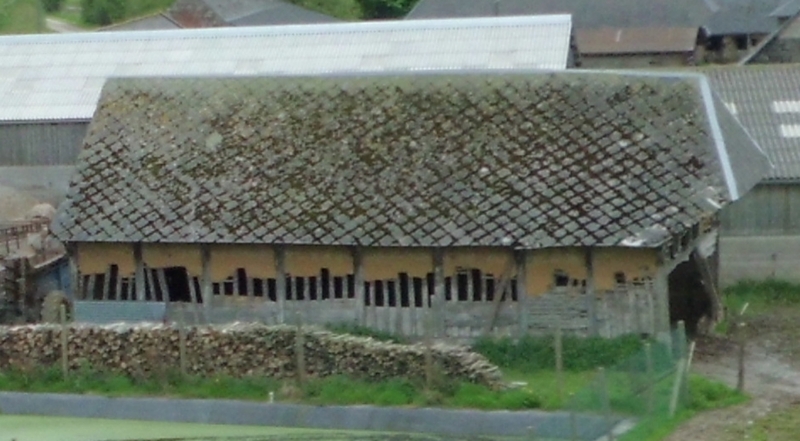 While driving in Normandy last week I took this photo of a barn next to the motorway. Its not the best quality photo but it was a case of point the camera through the window, click and see what came out. I can see why you took this photo: that would make a fine terrain piece for the Wargames table. I have to be honest I love going to normandy and looking at some of the architecture. A few weeks ago I was at Carpiquet, near Caen, next to the airfield. Im supposed to be going to normandy on tuesday next week if the load I have to take is ready. I have a few photos of town buildings, if I can find them I'll get them on here.